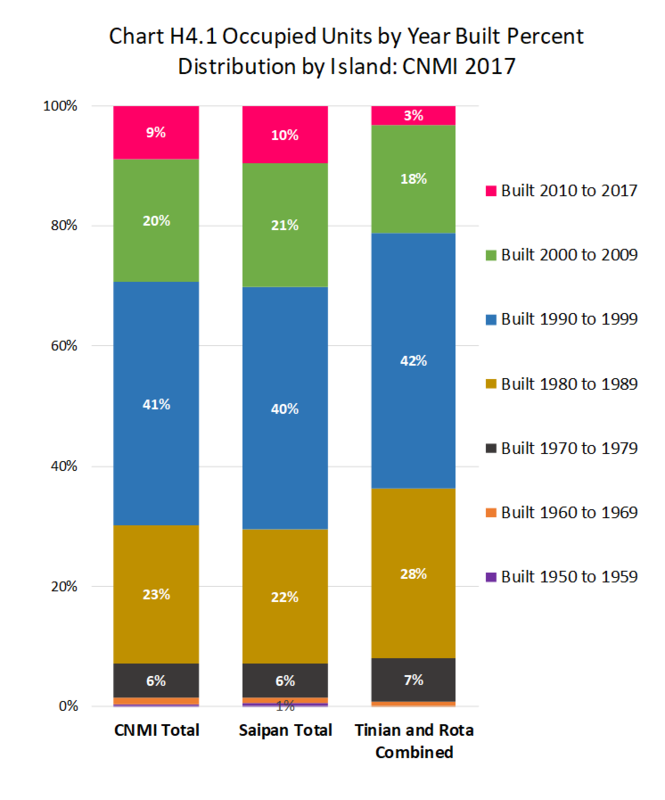 Majority of occupied units in the CNMI in 2017 were built in the 80s, 90s and 00s. Units built in the 1990s was 40.5% of all occupied housing units; units built in the 1980s was 23.0%; units built in the 2000s was 20.4%; units built in the 2010s was 8.9%; units built in the 1970s was 5.7%; while units build prior to 1970 was only 1.5%. Relatively less units were built in Tinian and Rota (3%) than in Saipan (9.5%) in the 2010s. Please see chart H4.1 and Table H4.1 below for detail. 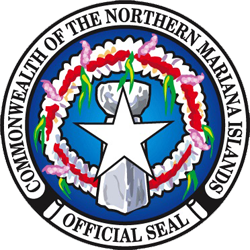 (Note that Tinian and Rota were combined, and Saipan districts were not treated separately, under this topic because of low number of cases. The response rate in the survey for this variable (year built) was only 42%.) See Chart H4.1 and Table H4.1 for detail. Table H4.1 Occupied Housing Units by Year Built, by Island, and by District: CNMI, 2017 4th Qtr.